John Wagner joined the Department in August 1998. He was previously on the engineering staffs at Delco Electronics, a subsidiary of General Motors Hughes Electronics, and Delphi Automotive Systems working on automotive powertrain and chassis control systems with hardware-in-the-loop and in-vehicle testing. Dr. Wagner has established the multi-disciplinary Driving Simulator Laboratory and the Rockwell Automation Mechatronics Educational Laboratory at Clemson. He has served as an associate editor for the IEEE/ASME Transactions on Mechatronics (2005-2008) and as the chair of the ASME Dynamic Systems & Control Division Automotive & Transportation Systems Technical Committee (2004-2007). Dr. Wagner is a registered professional mechanical engineer and also serves as the faculty advisor for the Clemson University SAE student chapter. 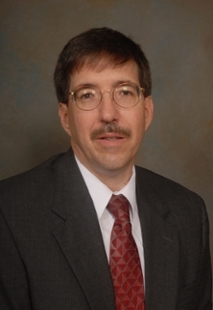 He has been elected an ASME Fellow. Mechatronic system design, nonlinear and intelligent controls, diagnostic and prognostic strategies, and dynamic system modeling with application to automotive, manufacturing, and turbine systems. P. Freeman, J. Wagner, and K. Alexander, “Run-Off-Road and Recovery – State Estimation and Vehicle Control Strategies”, Journal of Vehicle System Dynamics, available on-line at DOI: 10.1080/00423114.2016.1200728, vol. 54, issue 9, pp. 1317-1343, August 2016. X. (William) Tao, K. Zhou, J. Wagner, and H. Hoffman, “An Electric Motor Thermal Management System for Hybrid Vehicles – Modeling and Control”, International Journal of Vehicle Performance (IJVP), Special Issues on Recent Advancement in Vehicle Thermal Performance Management, vol. 2, issue 3, pp. 207-227, July 2016. T. Wang, A. Jagarwal, J. Wagner, and G. Fadel, “Optimization of an Automotive Radiator Fan Array Operation to Reduce Power Consumption”, IEEE/ASME Transactions on Mechatronics, vol. 20, no. 5, pp. 2359-2369, October 2015. G. Ali, J. Wagner, D. Moline, and T. Schweisinger, “Energy Harvesting from Atmospheric Variations – Theory and Test”, Elsevier Journal of Renewable Energy, vol. 74, pp. 528-535, February 2015. P. Freeman, J. Black, E. Iyasare, J. Wagner, D. Dawson, and F. Switzer, “Evaluation of Driver Steering Preferences Using an Automotive Simulator”, International Journal of Vehicle Design, vol. 66, no. 2, pp. 124-142, September 2014.